Reality TV shows are certainly monopolizing our prime time TV these days. It seems like every day another new program pops onto a network attracting a different segment of the population. While some of the shows are downright awful, some would even argue that they are offensive and exploitative. But here’s the thing, it creates a platform for so many controversial stigmas of our society. It provokes a conversation and it gets us talking. Professionally speaking, shows like Hoarders, Hoarding: Buried Alive, Clean House, and Talk show segments featuring Organizing Specialists, have all given our industry a fresh face. Even after 25 years of existence, it’s given our profession greater notoriety than ever before, but more so, it has reduced a lot of the shame and embarrassment that chronic disorganization often emits. People no longer ask, “What is a Professional Organizer?” rather they are more interested in “Who is your Professional Organizer?” These shows expose the trials and tribulations of so many who struggle with disorganization, and raise awareness to the benefits of getting more organized. There is great opportunity for help and viewers realize they are not alone in their challenges. In years past, this was a taboo subject swept under the rug, and today it is out of the closet. Alas. The Biggest Loser, a reality TV in its 9th season has also exposed another banned demographic. Although the show centers on overweight contestants trying to lose the most weight, it has raised much more positive awareness about healthy living, nutrition, and body image. We are fighting obesity in America and we need to talk about it openly and honestly, not deny it. I think the show does a great job in talking about the risks and consequences of compulsive eating. It also invites a serious conversation about the widespread eating disorders of anorexia and bulimia. Cooking themed shows like Top Chef, Hell’s Kitchen, Iron Chef, have become super popular in recent years. Celebrity television chefs made cooking cool and trendy, and these reality shows have inspired people to get back in the kitchen and have fun with food. Weekly, we watch talented cooks craft a creative dish from prep to plate and are dazzled by their technique, flair and ingredient savvy-ness. Hey, you can learn a lot here…I for one, feel encouraged to step it up and wow my family with some impressive new dish I learned from the show! 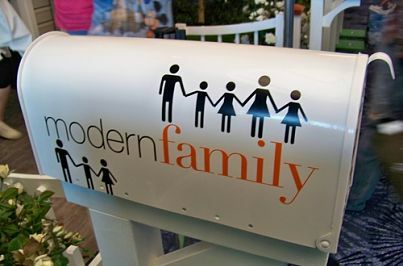 Similar to the comedy series Modern Family, there are countless new drama series that portray a gay relationship as an intrinsic part of the storyline. Blended families of all varieties are indeed part of our culture, and so our reality TV shows should reflect alternative sexual preferences. The evolution of gay marriage is both in the news and on our TV shows, as it should be. It is art imitating life. Reality singing and dancing competition programs like American Idol, The Voice, Glee, Dancing with the Stars, and So You Think You Can Dance all showcase novice talent and illustrate the power of “self”, and “fighting for what you believe.” That goes for fashion programs like Project Runway too. While these shows sometimes reveal the ugly side of “dog eat dog” competition, the viewer still walks away with a deeper respect for a “great risks, foster great rewards” mentality. A great take-a-way, always. Reality TV is the most viewed genre of today’s television programming, for a reason. Even though it claims to be seemingly “unscripted,” we are not that gullible. But we do relate to the “Average Joe” status, and we want to root him on. We believe in the human spirit. Perhaps we buy into the drama, but in the end, we also learn the lessons of personal conflict and integrity. Above all, the recurring message throughout most of these shows is to never give up, and be your authentic self. You can’t knock that. There are some surprisingly good things about bad reality TV, don’t you agree? What’s your favorite and least favorite show? C’mon, be “real” with me.